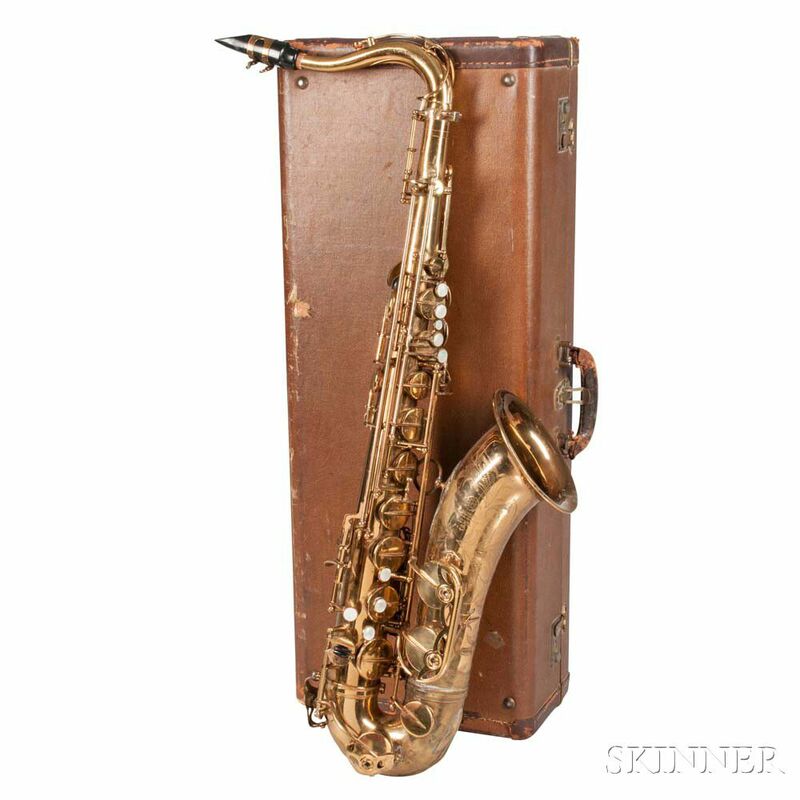 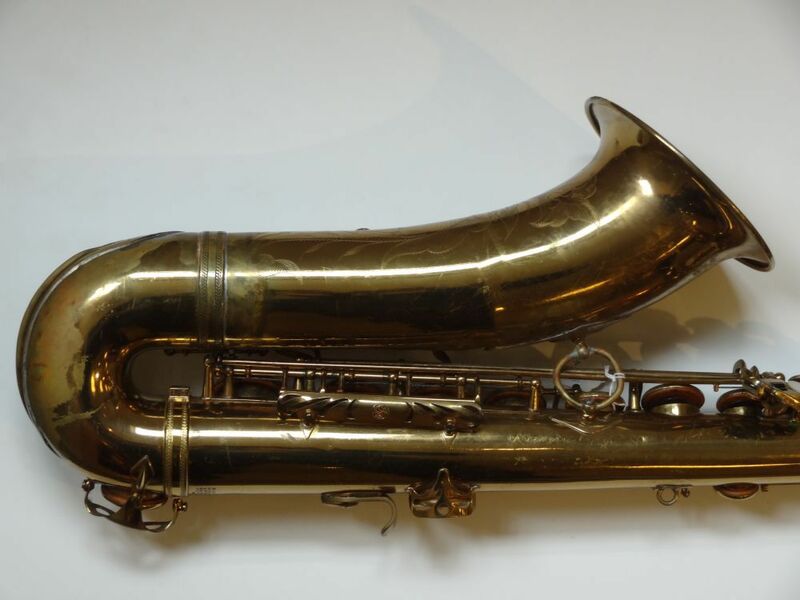 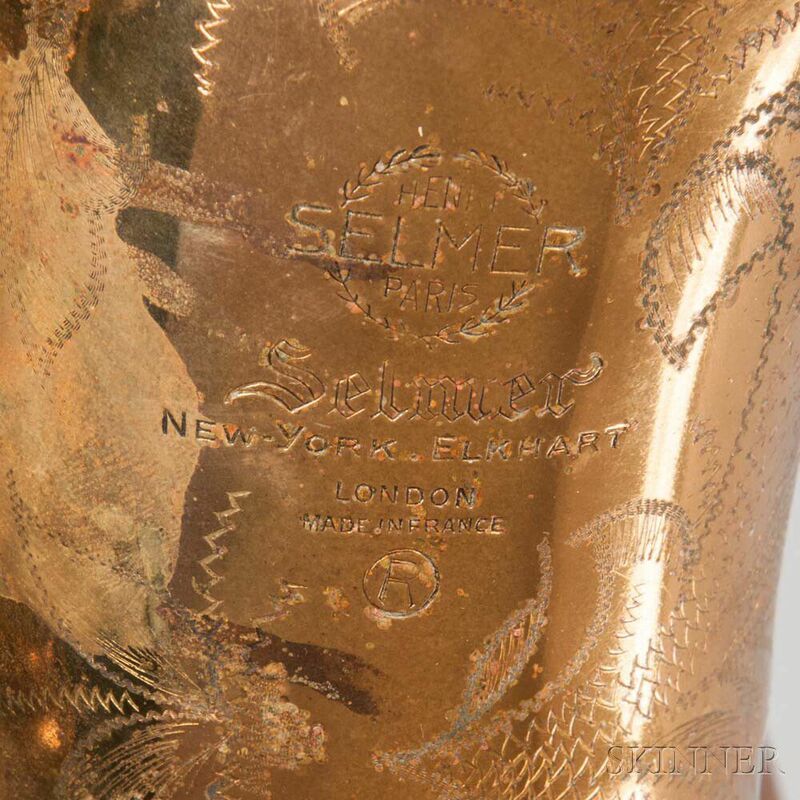 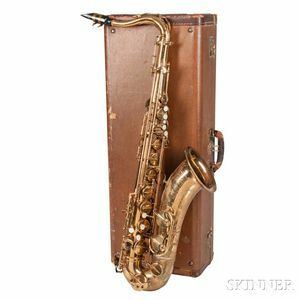 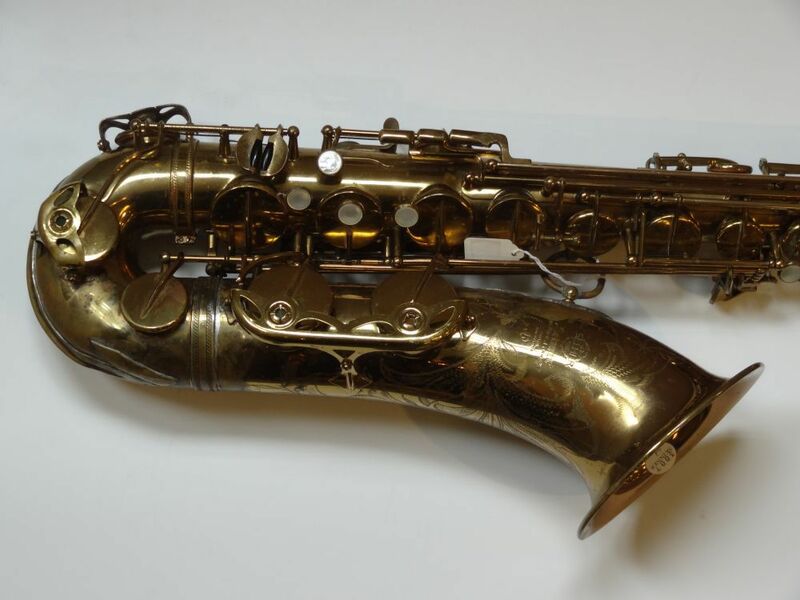 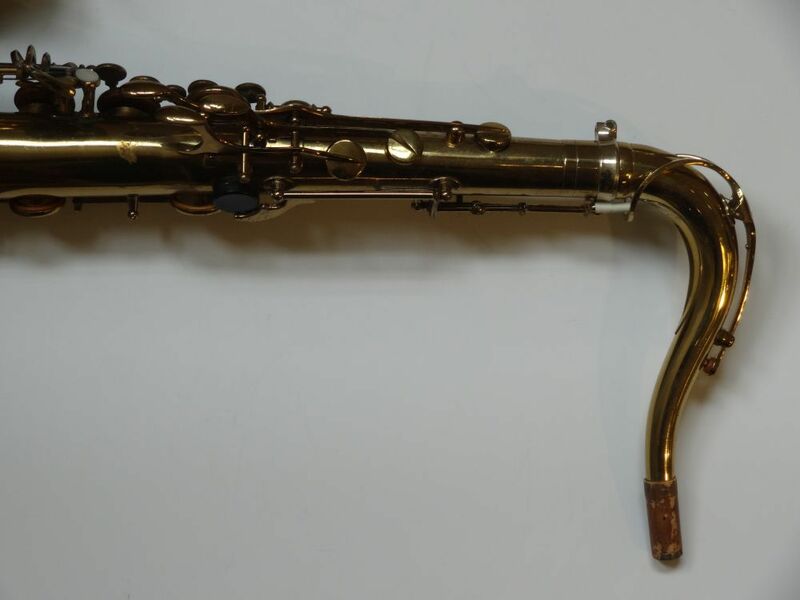 Tenor Saxophone, Selmer Mark VI, Paris, 1961, serial no. 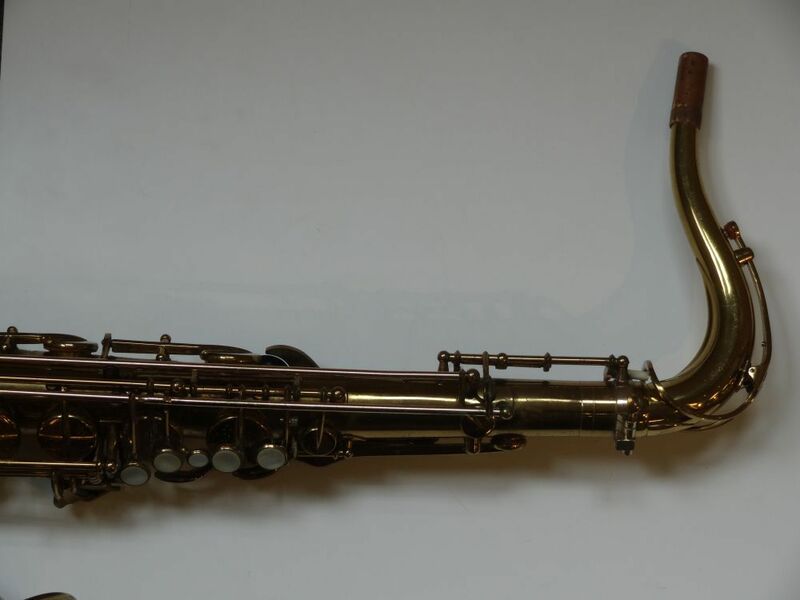 95989, the later neck stamped L, with Conn case. 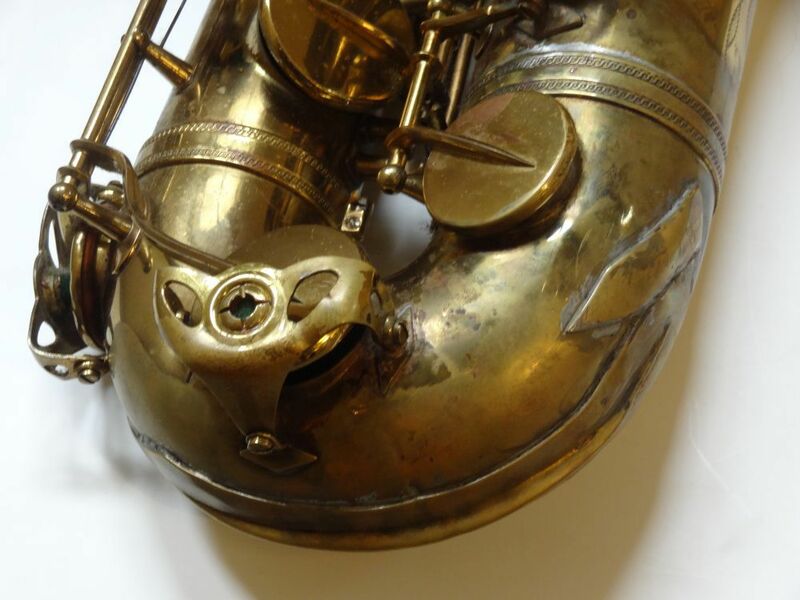 Extensive repairs to solder joints and bottom edge, including patch, dents, scratches, and pitting. 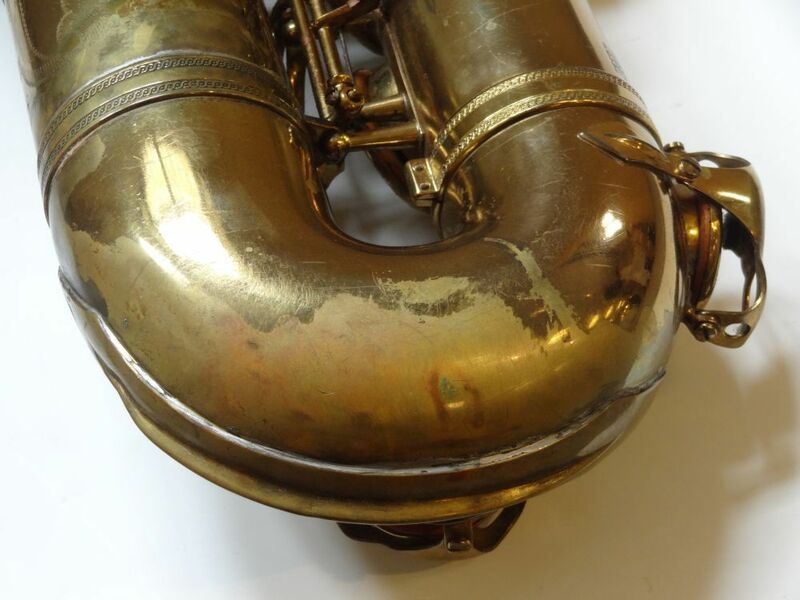 In poor repair, will require work.